Travis Roffler, marketing director for Continental Tire the Americas, speaks at the GOLD Dealer Meeting in Mexico. Advances in the tire industry are often subtle ones. Adjustments and improvements engineered on the inside are not always as obvious to the outside observers. With consistency over time, though, these build into strong, meaningful gains. 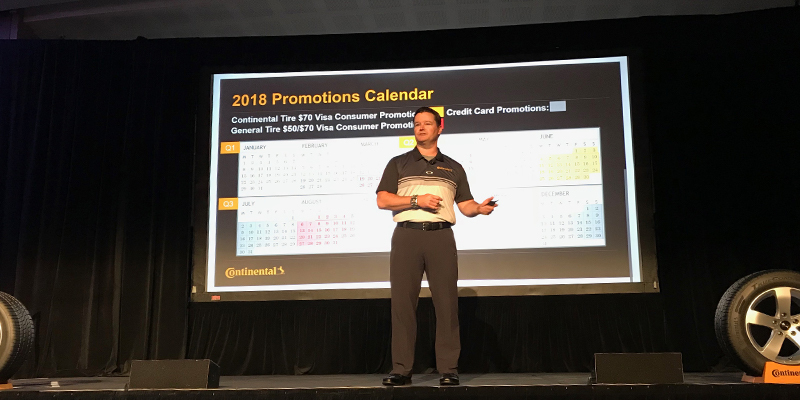 Such is the case for Continental Tire the Americas – across products, structure and dealer programs – which the company shared at its 2018 GOLD Dealer Program dealer meeting and reward trip April 9-13 at the Paradisus Playa Del Carmen resort in Mexico, 40 miles south of Cancun. While Conti leadership says the week is entirely designed to recognize and reward their top dealers with some well-deserved rest and relaxation, the business meeting and brand update on April 10 introduced new tires for both the Conti and General Tire lines, new marketing tactics for both brands and changes to the existing dealer programs designed to help participants maintain and grow their enthusiasm for the Continental and General Tire brands. The business meeting showcased several new products for 2018, which it said aim to enhance and round out the company’s existing product mix. Two new products – that will be available in June – are Continental’s TrueContact Tour and the all-new PureContact LS. 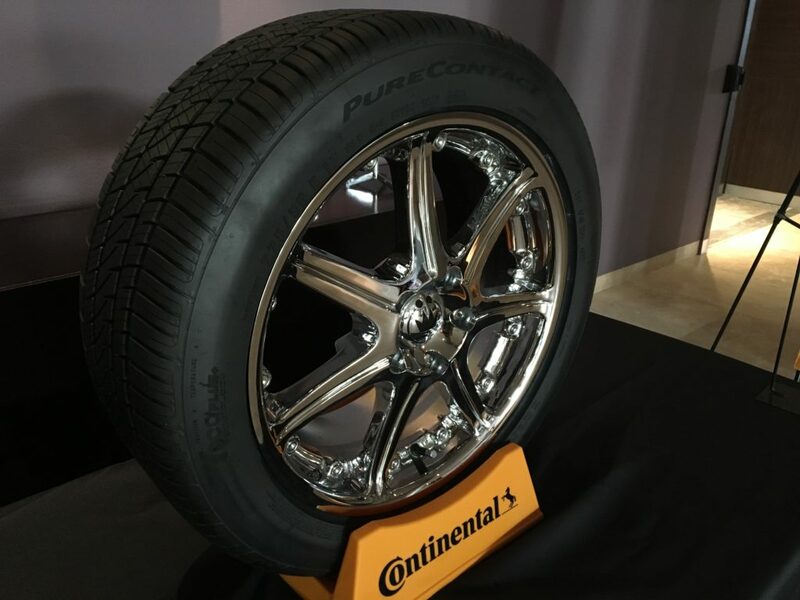 During the introduction of the TrueContact Tour, Continental cautioned dealers not assume that it’s the same tire as its predecessor, the TrueContact. It may share the same tread design. But its subtle changes are actually significant product enhancements engineered into its compounding and internal structure. Inspired by customer feedback, Continental switched the tire’s compounds allowing it to offer longer mileage, resulting in a 27% improvement in tread wear. Strong, all-season performance with high marks in dry, wet and snow conditions. “Robust” construction enhancements, including lower sidewall height sizes and up to 30% improvement in impact resistance to better handle potholes and similar road hazards. Continental’s “Total Confidence Plan” and a 60-day customer satisfaction trial. Availability (in June) in 45 sizes from 15- to 19-inch rim diameters, 45-65 aspect ratios, T-, H- and V- speed ratings and up to a 70,000-mile limited mileage warranty. The all-new PureContact LS is designed for luxury vehicle owners interested in performance in all-season conditions. Its new tread pattern delivers a 10% improvement in wet performance and similar dry and snow performance as the TrueContact with traction grooves designed for improved snow performance. Noise reductions were engineered to improve from 74dB to 71dB, with a 23% improvement in wear, thanks to new compounds used. Availability (in June 2018) in 29 sizes from 16- to 20-inch rim diameters, 40-60 aspect ratios, H- and V- speed ratings and up to a 70,000-mile limited mileage warranty. The event also showcased the latest release of three General Tire products, the Grabber APT (short for “all-purpose-terrain”), the Grabber A/TX designed for off-road enthusiasts, and the G-Max RS, the brand’s first foray into the summer tire market. The G-Max RS is a summer tire designed for sport enthusiasts looking for high quality and performance but at a better price point. The new design is competitive with others in its class on dry pavement but is designed to stand out when surface conditions are wet. Building up the two brands in the North American replacement tire marketplace involves a blend of consumer awareness, digital tools to support dealers and tactics to help dealers profit more when focusing on the Continental and General Tire product lines. To build awareness, the Continental marketing team says it plans to continue its focus on sports marketing sponsorships that include Major League Soccer, motorsports, college basketball, Automobile Racing Club of America racing and Major League Fishing among other activities. The marketing team is also finding new ways to leverage the personalities within each sport to engage with fans on a more personal level through unique market content. In addition to strategic sponsorships, digital plans for the tiremaker will continue to focus on driving traffic to dealer locations versus selling direct to consumers. In early summer, General Tire is getting a fresh, new website that will offer increased capabilities to capture user engagement data to deliver stronger marketing across digital channels. The brands will continue to make investments and enhancements in advanced digital marketing activities to connect with consumers that show a higher likelihood to engage based on location or online activity. 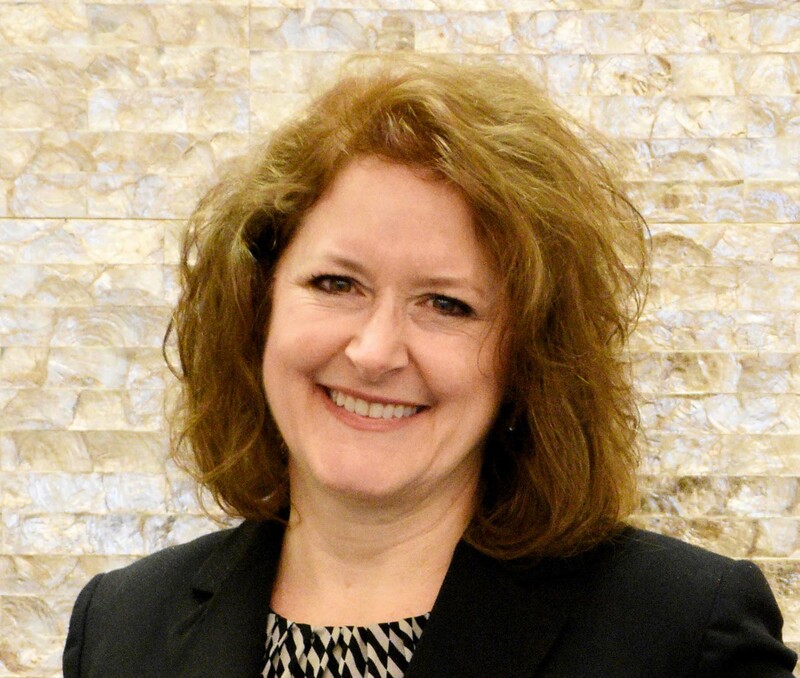 Conti will also continue efforts to promote brand awareness, offer additional in-store marketing support and training and provide a strong promotional calendar which includes extra program dollars during specific promotions and a “concierge service” for the creative use of RPM program points earned. Additional internal corporate improvements presented at the meeting include new hires and personnel changes: Chris Charity as vice president of sales; David DeRonne, manager of programs and planning; Debbie Richards, GOLD program manager; and Kevin Bowman, GOLD program administrator who was responsible for many of the details in coordinating the event. Record-breaking numbers of dealers attended the 2018 Continental GOLD meeting in Playa Del Carmen, Mexico. When the GOLD dealer program began 12 years ago, the first reward trip and meeting attracted just over 80 tire dealers. 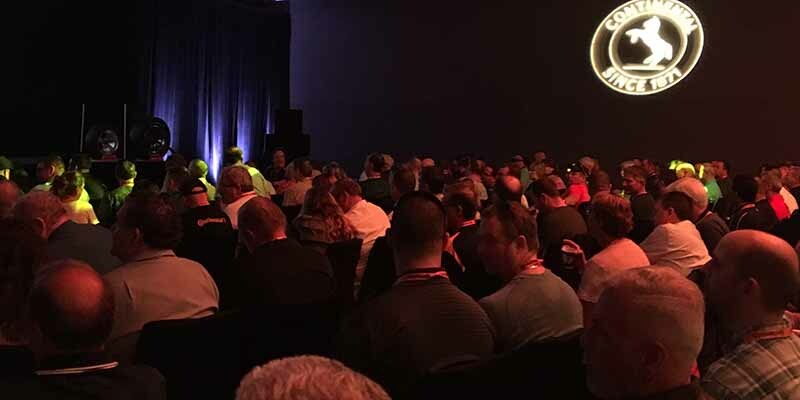 This year, a record-breaking 356 tire dealers and distributors attended the GOLD dealer trip, in addition to their guests. Tire dealers attending praised the efforts of the Conti team for focusing on the dealers and their profitability over the past decade, improving on and strengthening the dual brands – Continental and General Tire – in the marketplace. Such strategic shifts have resulted in stronger performance for the tiremaker in North America. After a decade of consistency in leadership, thoughtful product planning, increased attention to quality and stronger dealer programs, gradual improvements have manifested into increased sales, a strong product mix and higher levels of dealer engagement.